While an average couple thinks over again and again about how they can cut their wedding cost, celebrities think on how they can spend lots and lots of money on their weddings. When their wedding expenditure is published through various media, an average bride and groom certainly get a feeling of envy; however it is also true, that most of the celebrities learn in the long run, that money can’t bring happiness. Still, looking at the wedding cost of celebrities is tempting. 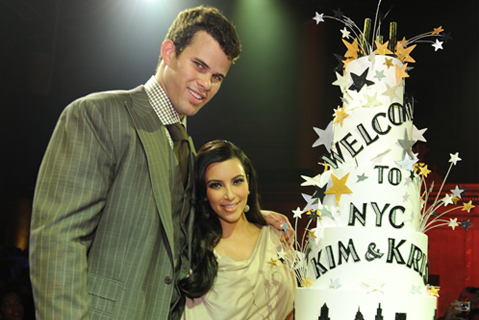 Here is some interesting statistics of costs of Kim Kardashian’s short-lived wedding with Kris Humphries compared to an average wedding. 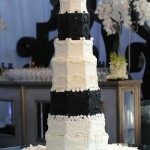 While a wedding cake for an ordinary wedding may cost around $600, the wedding cake of Kim Kardashian cost $20,000. 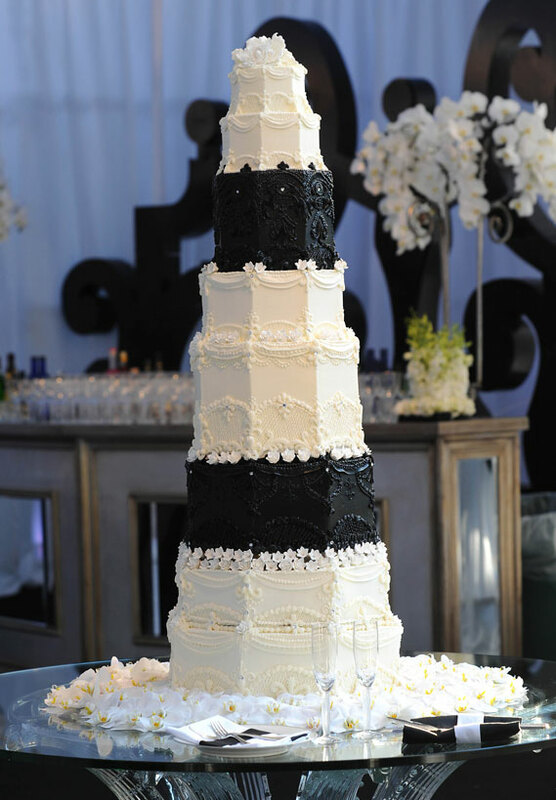 It was a 10-tiered black and white cake from Hansen’s Bakery. It is other thing that Kim got it for no cost! 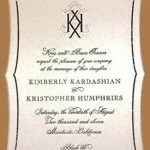 Wedding invitations may cost you around $700, but Kim’s Lehr and Black crystal embellished wedding invitations cost $10,000. While an average bride may afford a wedding gown of $1,500 approximately, Kim Kardashian’s wedding gown plus 2 more dresses designed by Vera Wong cost $60,000. But, they were bestowed upon her for free. Kim wore a hairstyle and makeup of whooping $150,000, whereas an average bride like you and me can spend maximum $200 to look our best! Kim had Perrier Jouet Champagne worth $400,000 and food by Wolfgang Puck (which contained Caviar and Kobe beef burgers) worth $750,000 on her wedding, while we can spend maximum $9,500 to please the taste buds of our guests. Reportedly food too at the socialite star’s wedding was for free! 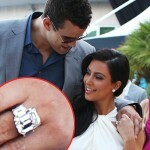 Kim’s engagement ring was 20.5-carat and cost $2 million, however reportedly Kris got a heavy discount. We can spend maximum $4,700 on our rings. Total cost of Kim’s wedding was $20 million while we can spend maximum $27,000. 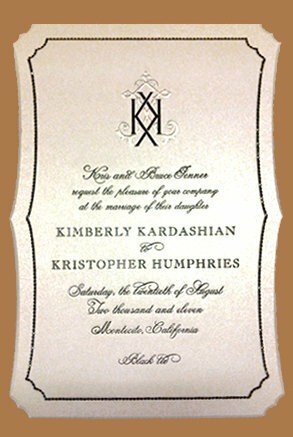 The total cost of the wedding of Kim Kardashian and Kris Humphries is equal to the cost of 1,250,000 pizza pies or 284 new Lexus Sedans or 540 academic years’ fees at Harvard or 714 year’s salary of an average US worker. While we may be getting maximum 150 guests for our weddings, the wedding of Kim and Kris was attended by 500 guests. Kim’s wedding dress, food, cake and wedding venue (Montecito’s Sotto II Monte estate) were all absolutely free. The lavish marriage lasted just for 72 days. For publicizing her fairytale wedding, Kim Kardashian got $18 million from E! with 5 million viewers and 9.3 million followers on Twitter. Well, the sizzling hot news is possibly Kim will soon be marrying Kanye West, for which she has been strongly supported by her mother and sisters. Let’s see, if we will have to see yet another enviably lavish wedding!